I teach interaction design, game design, and art. My passion for design, education and working with diverse groups stems from my social change and theater background. My ability to humanize technology and explain complex concepts in plain language is an invaluable skill when pursuing any form of technical design education. In San Francisco I have taught design at USF in the Department of Art + Architecture, Creative Code with Gray Area Foundation for the Arts, and game design at BAVC. In New York I taught at creative code at Parsons, web and graphic design at St. Joseph’s College. I teach creative code for art at Gray Area in San Francisco. My teaching focus within the Creative Code Immersive, a 10 week program to help artists learn code, is algorithmic web art and physical computing. I have also mentored youth in the Creative Code Apprenticeship with Dolby Digital. I taught the Girl Game Makers Bootcamp with girls ranging from 14-20. I designed curriculum based on MIT's Scratch platform and the iterative design process. 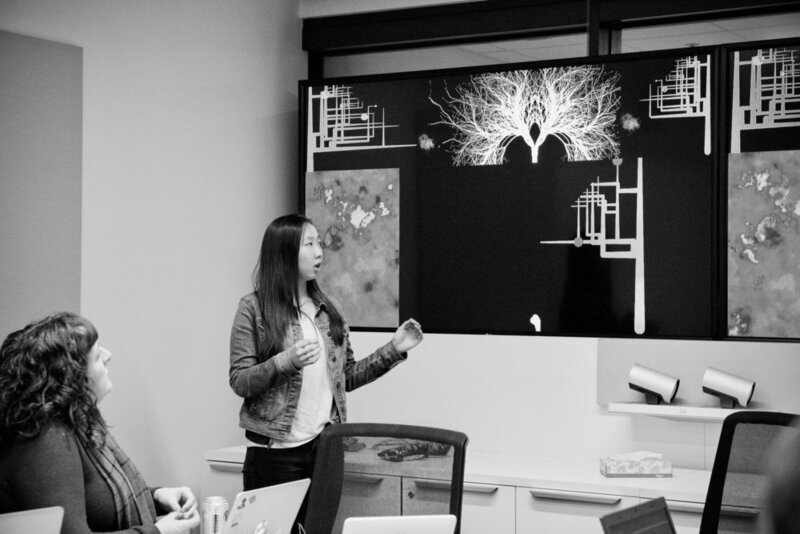 The course was intensive summer course and each team showed their games at Zynga for an industry critique session. I taught design with a focus on interaction and time based movement in the Department of Art + Architecture. I taught courses in the BA Art department for Web and Graphic Design.